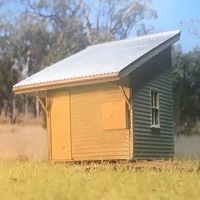 This fine cast model represents Queensland Rail's Princhester station. 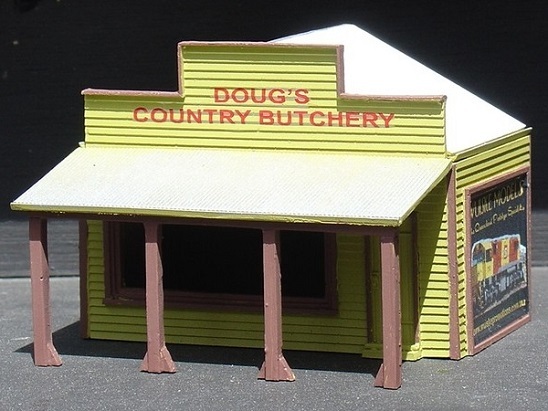 Doug's Country Butchery represents a typical small country or suburban shop that can be seen throughout the nation. 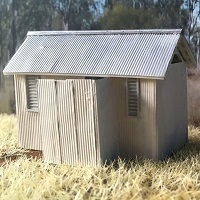 Irish's Armoury (and things that go boom) is a typical Australian brick built shop from the 1970s. 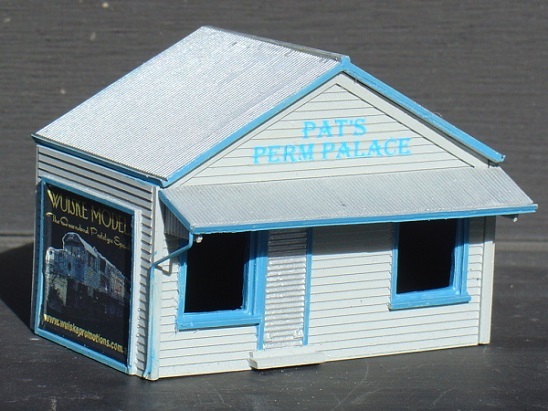 Pat's Perm Palace represents a typical Australian corner store. Buildings such as this can be seen all over the nation.